New workforce guidelines have not led to significant improvements on acute NHS hospital wards. Hospital wards across the NHS in England are still under staffed and putting patient lives at risk despite new policies coming into force as a result of the 2013 Mid-Staffordshire Inquiry, warns a new report published by the University of Southampton. The Inquiry led by Sir Robert Francis, QC, into the failings in care at Mid Staffordshire NHS Foundation Trust between 2005 and 2009, led to new national policies, including the introduction in 2014 of NICE guidelines on safe-staffing for acute hospital wards. However, Professor Jane Ball, Research Fellow at University of Southampton and lead author of the study Implementation, Impact and Costs of Policies for Safe Staffing in Acute NHS Trusts, warns that the new workforce guidelines have not led to significant improvements on the hospital wards. According to the study, hospitals are facing major challenges in recruiting and retaining RNs with an average RN vacancy rate reported at 10% across the country, with rates as high as 20% in some Trusts. Analysis of national workforce data undertaken by the study team shows whilst the total number of nursing staff in acute care has increased since the 2013 inquiry, concurrent growth in the number of patient admissions has meant that there has been no net improvement on RN staffing levels. There has been an increase in nursing support staff (such as health care assistants) three times greater than that of RNs, causing a dilution of skill levels in NHS acute care. Professor Ball and her team of researchers from the Universities of Southampton and Bangor, surveyed Directors of Nursing in acute NHS Trusts, analysed national workforce data, and reviewed case studies from four acute NHS trusts as well as policies, taking into consideration the health service context in which they were developed and implemented to reach their conclusions. The study was funded by the National Institute for Health Research (NIHR) Policy Research Programme. The study found that the initially strong policy response to the Inquiry - to put patients first and foremost and to never let the failings found in Mid Staffordshire happen again – had become more muted. 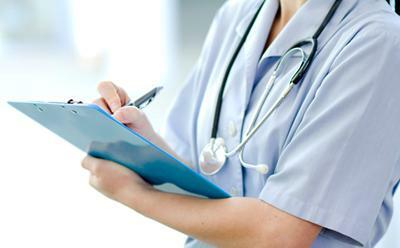 “The complete lack of alignment between initial policy response and subsequent workforce investment, has left Trusts with a clear vison of safe-staffing but without sufficient the means – in terms of registered nurses - to deliver on it” said Prof Jane Ball. Ball J, Barker H, Burton C, Crouch R, Griffith P, Jones J, Lawless J, Rycroft Malone J. (2019) ‘Implementation, Impact and Costs of Policies for Safe Staffing in Acute NHS Trusts’. University of Southampton. The report is based on independent research commissioned and funded by the NIHR Policy Research Programme (“Implementation, Impact and Costs of Policies for Safe Staffing in Acute NHS Trusts”, PR-ST-1115-10017). The views expressed are those of the authors and not necessarily those of the NIHR, the Department of Health and Social Care, ‘arm’s length bodies’ or other government departments. Summary of the study 'Implementation, Impact and Costs of Policies for Safe Staffing in Acute NHS Trusts', published by the University of Southampton. Full version of of the study 'Implementation, Impact and Costs of Policies for Safe Staffing in Acute NHS Trusts', published by the University of Southampton. Infographic of the context and key findings of the study 'Implementation, Impact and Costs of Policies for Safe Staffing in Acute NHS Trusts' published by the University of Southampton.